Morning Pointe of Greeneville (TN) resident Ellie Lowery congratulates Amedisys physical therapist CeCe Chapman after her recent barrel racing competition. Morning Pointe Senior Living president and co-founder Greg A. 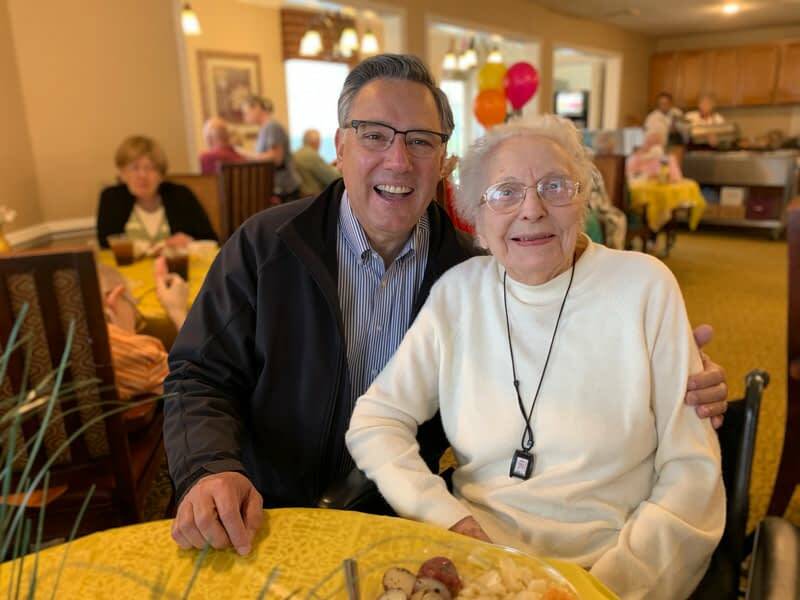 Vital joins Morning Pointe of Greeneville (TN) resident Katherine Anderson for the assisted living community’s Lucky Luncheon in honor of St. Patrick’s Day. Ava, a student from Greeneville Adventist Academy, shapes a rose out of modeling clay with Morning Pointe of Greeneville (TN) resident Bruce Garrett.